People are more connected today than ever before. Once upon a time, you had to travel for days to get from one place to another. And if your destination were on the other side of the ocean, it could take weeks! But today, all we need to do is type a message and click send. 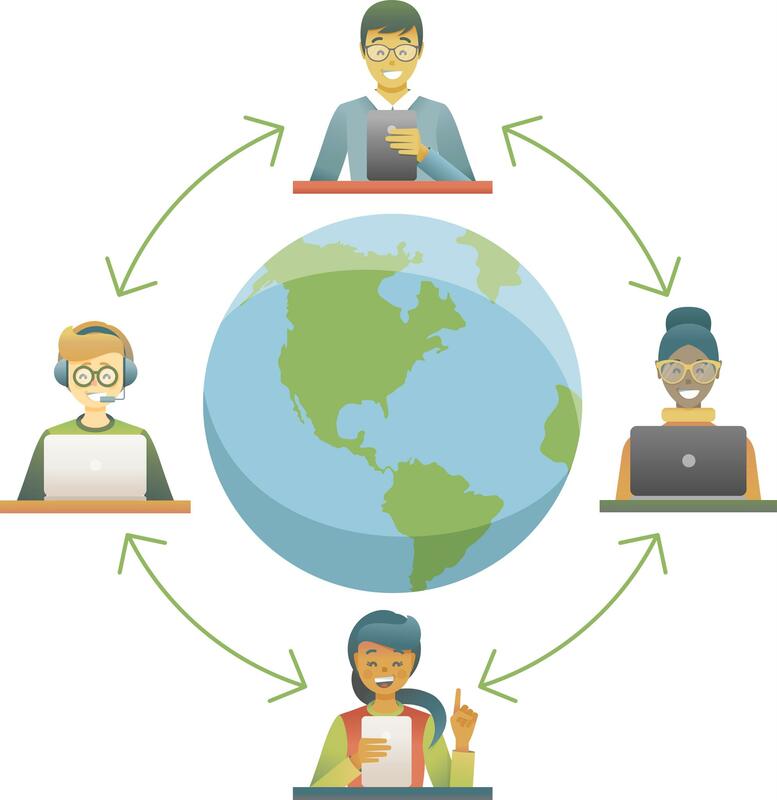 Even better, we can log onto Skype and speak face to face with someone who’s thousands of miles away from us. And while chatting on social media and sending pictures to one another is a great way to spend time and connect, there’s another uniquely valuable use for it – creating digital international teams. What Makes Digital International Teams So Great? And that’s just for starters! So let’s dive into them and learn how you can enhance your skills by becoming part of a digital international team. When you have an international team at your disposal, chances are the flow of ideas will be endless. Some of your coworkers will come up with ideas that would never have crossed your mind, and you’ll do the same! Thanks to your different experiences, you’ll all have completely different mindsets, which will allow for some incredibly interesting ideas. And if you’re part of a digital international team, chances are you won’t be tied to the usual nine-to-five office routine. This will allow you to motivate yourself and work under your own conditions, which is a huge boost for productivity . You’ll find it much easier to focus if you’re sitting in an old T-shirt drinking a cup of tea and listening to music, than if you’re sitting in an office chair in dead silence just praying for the clock to move faster. This is closely connected to productivity. If you have all these people from, say, Europe, Asia, or Africa in your team, you’ll be constantly surprised by how differently they think about certain things. Now, imagine how important that can be when it comes to brainstorming! Why is that? Well, mostly because there’s no right or wrong when it comes to brainstorming. The more ideas you can think of, the better! Your coworkers will not only pitch in with their personal experiences, they’ll also teach you about what works in their own environment. Similarly, they’ll learn what works in yours, so you get the chance to try out lots of new things together . In the nineties, a study done in Ireland connected an international team of exchange students who weren’t even all on the same continent, and teamed them up in a simulation-like game. They were supposed to agree on big decisions together and solve complex problems while competing against other teams. They were given the opportunity to practice real-life problems and situations in a safe environment – something that’s called a “micro-world” . They were able to develop decision-making, problem-solving, and teamwork skills while working across continents . Through applied learning, or project-based learning, these students practiced incredibly important skills in a purposeful way – not just for learning itself, but for an actual outcome . What’s more, they were more motivated to work, as the more they worked, the more they learned and the better results they were able to see! And they were able to learn much more since this kind of approach promoted further learning and was more interesting for them . Both the organizers and the students in the simulation agreed that overcoming any technical difficulties was well worth the end result . (And now in 2018, we don’t even need to worry about the technical issues so much!) As it turns out, this simulation (and such simulations and games in general) can predict the future success of a student very well . According to Forbes, communication is one of the most important skills every Millennial should be able to use effectively in the workplace . Communicating can be hard, especially if there’s a difference in opinion. You might ask yourself: How do I give proper feedback? How do I learn not to take things personally, but understand them as a way to better myself? This is a skill that, like any other skill, needs honing. And what better place to do that than as part of an international team? International team members will likely have completely different opinions, given that they all live in different environments. If you have a good manager/facilitator, an international team can give you an enormous advantage when it comes to handling conflict, or communicating in general. If you practice and learn how to communicate with people from other parts of the globe, chances are that solving a conflict with your coworker who lives just down the street will be a piece of cake . Our world is ever-changing and ever more connected. Anywhere you go, you can see people from other cultures working, living, or simply visiting. Being a part of an international team is an invaluable experience for anyone seeking to understand these cultures better. You’ll be able to hear first-hand about their thoughts, ideas, and way of life. If you decide later on in life to go to another country or even a different continent to pursue your passion (or adventurous spirit! ), you’ll find it much easier to adapt if you’ve already been in contact with more than just one culture . And that’s especially important if you’re required to fit into the office culture of another place – the expectations, the social mores, the work ethic. You’ll be much more attuned to all of these or at least more capable of learning quickly if you’ve already experienced something similar. As we already mentioned, a digital team means you won’t be forced to be at your desk every day at 9:00 a.m. sharp and remain there for the next eight hours – yay! Instead, you’ll mostly get to work on your own time, and given that your team members may live in different timezones, they won’t be able to give you an answer as soon as you post something . This means that you’ll get some offline time instead of checking your phone for messages every two minutes, and you’ll be allowed to work whenever you feel like it. Are you a night owl? Great news: you won’t have to start fueling yourself with coffee as soon as you get up! Entering a virtual room of people whose customs you’re not very familiar with is anything but comfortable. It’s exciting, sure – but it’s stressful to a certain degree, as well. What you’ll need to work on in order to succeed in such a new environment is becoming adept at picking up social cues quickly. If you learn how to “read a (chat)room”  as soon as you enter it – voila! – you’ll become a much better team member and much more productive, and you’ll start feeling more and more comfortable with each new meeting or in any similar situation. All of the above benefits will also help you get to this step – the final, tangible benefit of landing a job . But besides charming your future employer with your soft skills and a resume that says you have experience working in an international team, that same team will likely offer you a great chance to network. Imagine you’re applying for a job in Norway, and it just so happens that one of your ex-coworkers is Norwegian! You can, for example, ask them about what is usually expected of the applicants for such a position. And even if you’re not actually applying, but simply thinking of finding a job there, why not ask them if they know anyone in that field? They’ll have no trouble recommending such a talented, versatile young person as yourself. 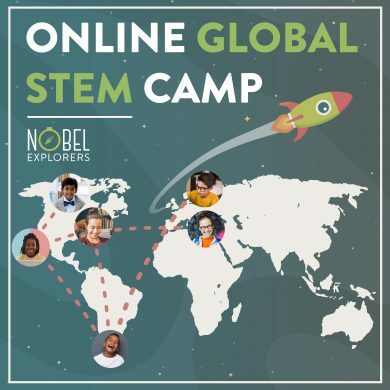 If this article has piqued your interest in becoming part of a digital international team, take a look at nobelexplorers.com and all the projects we offer. You may well find something you like! Join a global team and solve real STEM challenges!